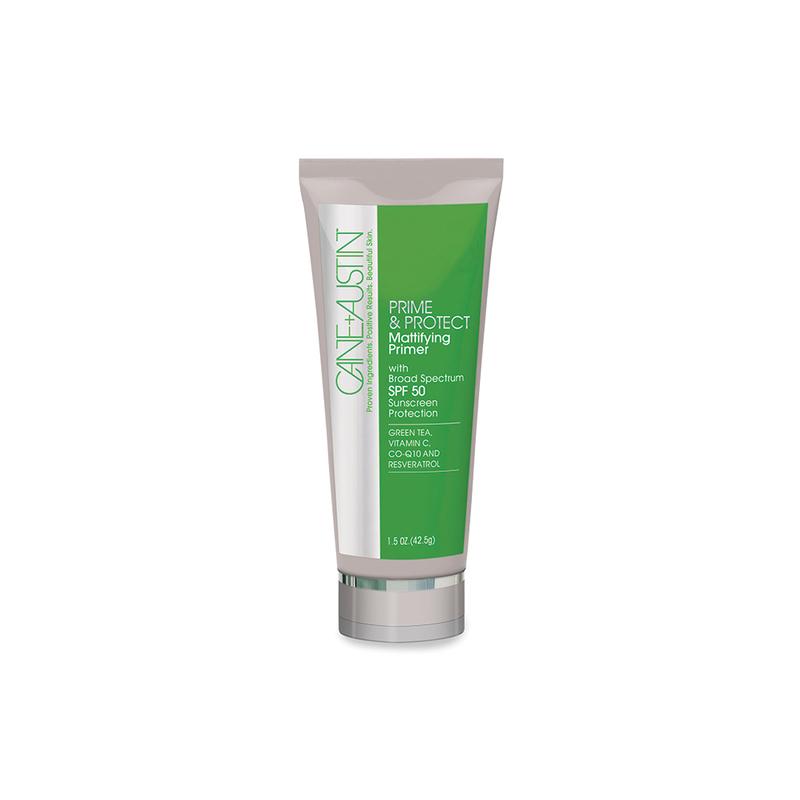 Cane + Austin’s Prime & Protect not only provides broad spectrum SPF 50 sun protection, but also evens out skin tone, provides gentle hydration, balances out oils in the skin, and imparts a matte finish. 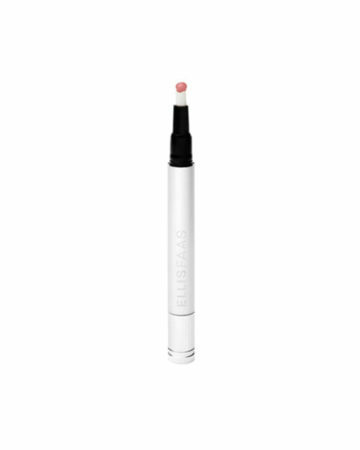 Reduces imperfections and protects skin with this universal shade, dual purpose formula. 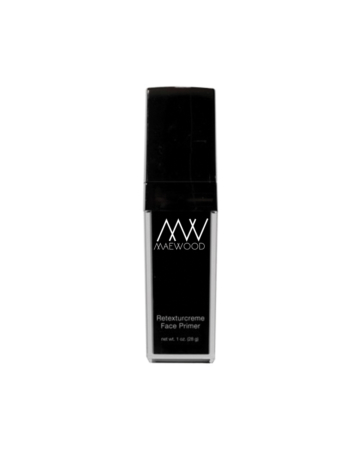 May be worn alone or as a primer. 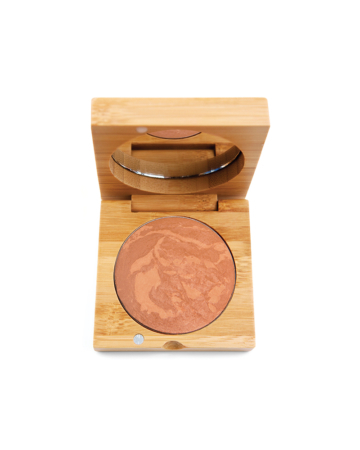 Apply liberally to face and neck and spread evenly 15 minutes before sun exposure. Re-apply after swimming, excessive perspiring or any time after towel drying. Use on children under 6 months; consult a doctor. For external use only. When using this product keep out of eyes, rinse with water to remove. Stop use if signs of irritation or rash appear. If irritation or rash persists, consult a doctor. Keep out of reach of children. In case of accidental ingestion, seek professional assistance or contact a Poison Control Center immediately. Ascorbic Acid, Biotin, Camellia Sinensis (Green Tea) Polyphenols, Centella Asiatica Extract, Ceramide 2, Cetyl PEG/PPG 10/1 Dimethicone, Cyclomethicone, Dimethicone Crosspolymer, Emblica Officinalis Fruit Extract, Glyceryl Isostearate, Iron Oxides, Lauryl PEG/PPG-18/18 Methicone, Leuconostoc/Radish Root Ferment Filtrate, Methyl Trimethicone, Neopentyl Glycol Diheptanoate, PEG-8 Methyl Triethoxysilane, Phospholipids, Polyhydroxystearic Acid, Purified Water, Resveratrol, Silica, Silica Dimethyl Silylate, Titanium Dioxide, Tocopheryl Acetate, Ubiquinone (Coenzyme Q-10).